Carry this luck charm with you always and you can empower yourself and others so you can achieve a successful profession, a good relationship and can always be happy and fulfilled. 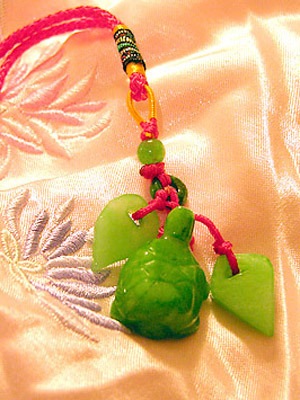 Hand carved Jade or Jade-Quartz Turtle. Turtles reflect a long life and empowerment.